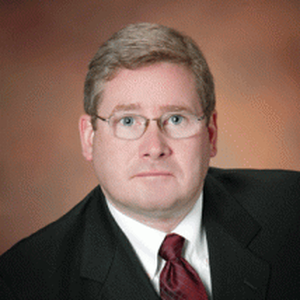 Jeff Shanley brings 27 years of recovery audit industry experience and is a founding partner of ATG. As our Chief Information Officer, he is responsible for ATG’s Information Technology infrastructure and proprietary software development. Jeff is a uniquely talented individual and a rare commodity in the recovery industry because he is equally skilled in IT, purchase-to-payment systems and audit methodologies. Since entering the industry, Jeff has focused his efforts on directing audit support, electronic tool development and enhancing audit productivity. Jeff is the chief architect of ATG’s breakthrough “Web Audit Tools” that provide the only alternative to conventional post annual auditing. Jeff has extensive recovery audit experience. In 1987, Jeff joined the recovery audit firm of Robert Beck & Associates, Inc. (now PRG-Schultz, International, Inc.) and was an industry pioneer migrating manual paper-based audit reviews to sophisticated software-based reviews. These efforts helped position RBA as an industry leader in both audit services and technology. Jeff’s development of electronic applications dramatically transformed the audit process allowing audit professionals, without IT programming experience, to run highly sophisticated queries and complex audit routines. Previously, Jeff was Senior Vice President, Information Technology of PRG-Schultz, Chief Information Officer of Robert Beck and Associates and Chief Information Officer of Howard Schultz and Associates. Prior to his recovery auditing career, Jeff was the Accounts Payable Manager for a leading Midwest retailer where he gained valuable experience in purchase-to-payment systems. Jeff has a BS degree in Mathematics from the University of Pittsburgh.